The Sofitel Bora Bora Marara Beach & Private Island Resort is one of the most magical hotels on earth, a tropical island fantasy where living is always easy. 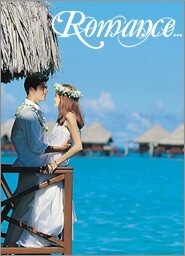 Depart for the honeymoon of your dreams. Arrive in Tahiti , where our local Tahitian representative will greet you with a flower lei and transfer you to your accommodations at the Radisson Plaza Resort Tahiti. Relax at your hotel, or go out to explore the dining and nightlife options of Papeete. 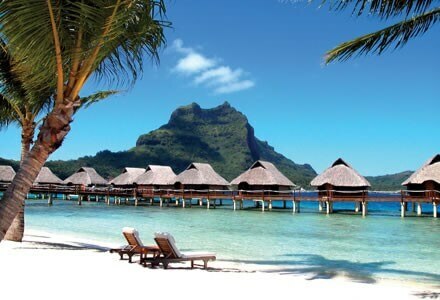 Less than an hour’s flight takes you to Bora Bora, undoubtedly the most famous island in French Polynesia. Arrive at Bora Bora’s airport on Motu Mute where a representative from the Sofitel Bora Bora Marara & Private Island Resort will meet you and assist you to the hotel’s motor launch for your transfer across Bora Bora’s beautiful lagoon. Spend your days together at this beautiful Bora Bora resort, set directly on Bora Bora’s opalescent lagoon, and with its own private offshore island. Of course no visit to Bora Bora is complete without the exhilarating shark feeding excursion. Enjoy a three-course dinner one night at the hotel. Consider an upgrade to one of their spectacular overwater bungalows. The hotel will transfer you back to the airport aboard their motor launch in time for your late afternoon flight to Tahiti. 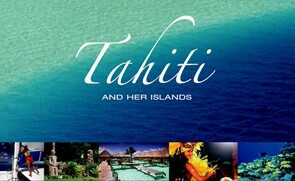 This evening, bid farewell to Tahiti and board your return flight to the United States. Pricing based on low season (Nov- March, holiday periods excepted).